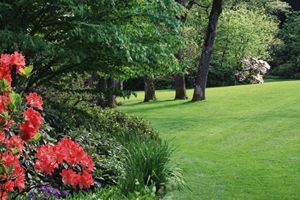 Where do you need Landscaping Companies? Existing Sprinkler System: Yes, it will require modification when installing the new curbing. Comment: Remove plastic, mulch & 2 shrubs. Replace with new fabric to prevent weeds getting through. Build a masonary wall around area & fill in with stones. Comment: I currently have 1 layer of curved white rocks in the front of my home. It is filled with white rocks. I would like to reconfigure the shape but using the existing rocks and maybe add a 2nd layer. Filling in with rocks where needed. Adding lighting. Clean look without shrubbery. Comment: Need minor cleanup, trimming of bushes and new stone put down. Install Synthetic Grass for Landscaping, Putting Greens, Play Areas, etc. Toms River Landscaping Companies are rated 4.83 out of 5 based on 1,213 reviews of 48 pros. Not Looking for Landscaping Contractors in Toms River, NJ?